I bought this wine because it was on sale at Teeter for $5 and I like Zinfandels. Roll the die, right? It’s going to officially become one of my favorite lower priced Zins. Smooth, jammy and just a little bit of bite at the end. It would be a good wine to have at a party – I think it’d be universally liked and you can’t beat that price point. We happened to pair it with pizza that night but I think it would hold up to some heavy comfort food too, like lasagna or beef stew. I may have to open a second bottle to find out. Price: On sale for $4.99, I think it’s regularly $8.99? Would you buy again? Yes. I went back and bought another bottle the next day since it was on sale! I’m a big fan of R&G Chard, but not the other ones.. the merlot has an almost effervescent feel to it. Tell me if you do, what you think. Yes indeed! Look for it on sale.. can’t beat that price point for a good wine! I can never find the Zin! I can always find the others, but not that. BOO. You got me hooked. 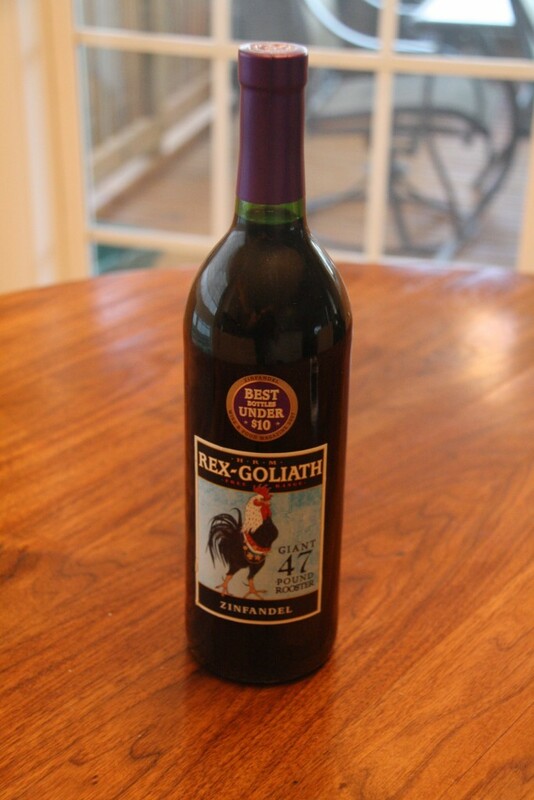 It’s on sale at Teeter right now – if I’m in there this week, I’ll grab you a bottle!